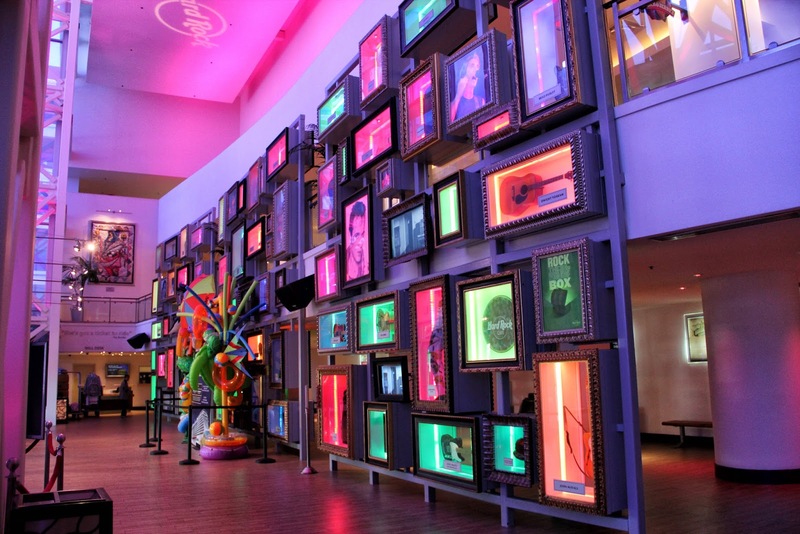 I have visited lots of casinos, I live about an hour and a half away from Atlantic City and have been multiple times to Las Vegas, but there's something about casinos I find alluring. Maybe it's the ringing and the sounds that gambling machines make, maybe it's seeing the people staring at the screens while consuming large quantities of alcohol, maybe it's the beautiful design of the lobby and restaurants, whatever it is I never miss a chance to walk through casinos even though I don't gamble. 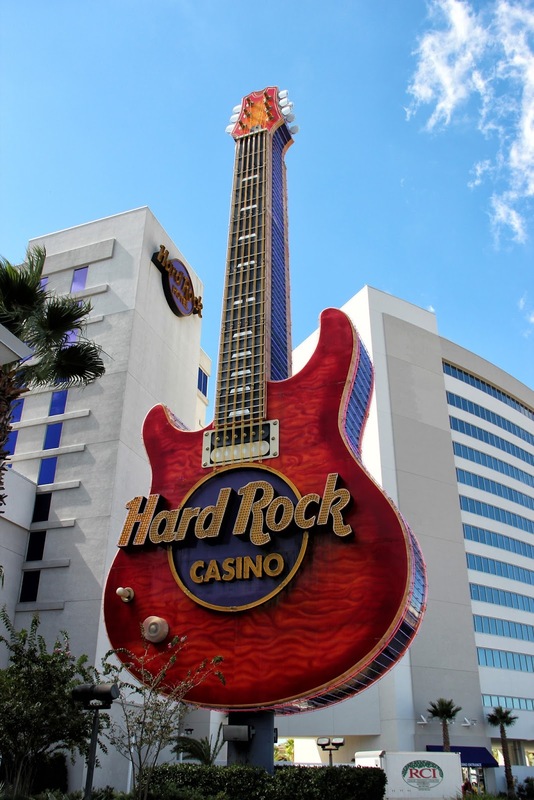 There are a few casinos in Biloxi and I first visit the Hard Rock Casino. 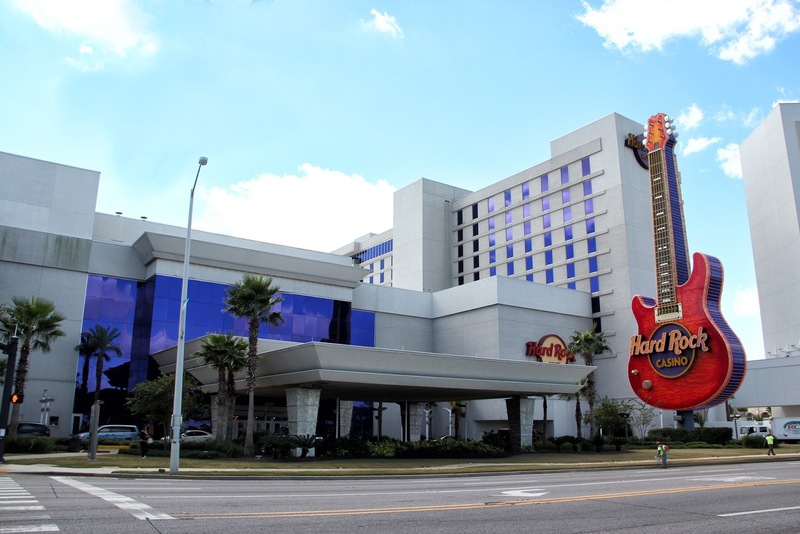 The resort was constructed in 2005 and a couple of days before the scheduled grand opening, Hurricane Katrina struck the Gulf Coast, destroying the casino and damaging the resort. 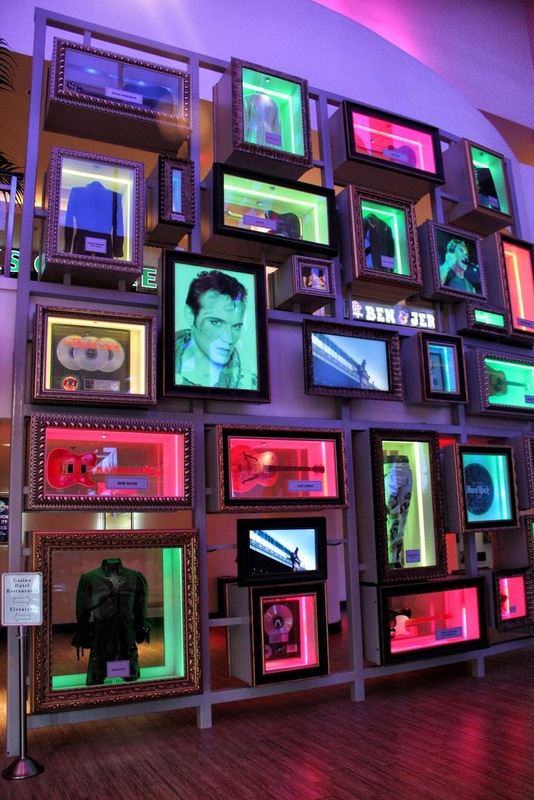 The lobby of the casino has a huge colorful display full of memorabilia including Elvis Presley's Army uniform found on a mannequin floating in the Mississippi Sound after Katrina and returned by a local resident. 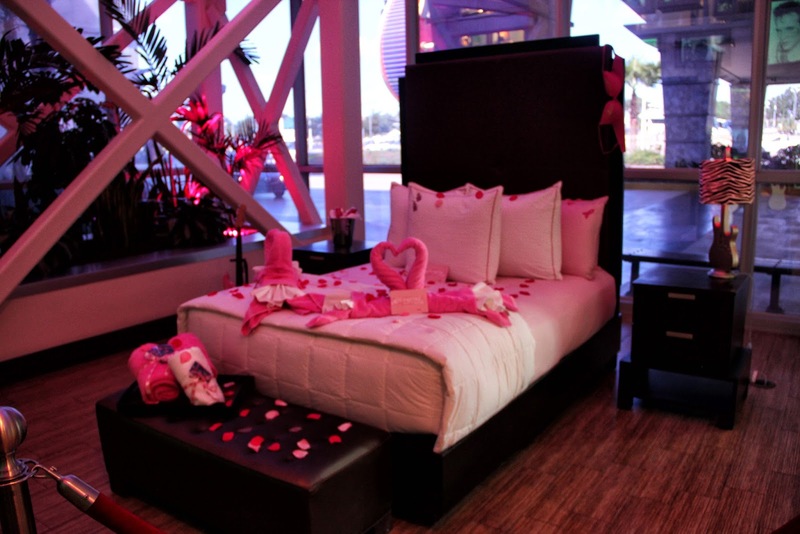 I guess they cater to newlyweds, as soon as I walk through the front door I come upon this display. 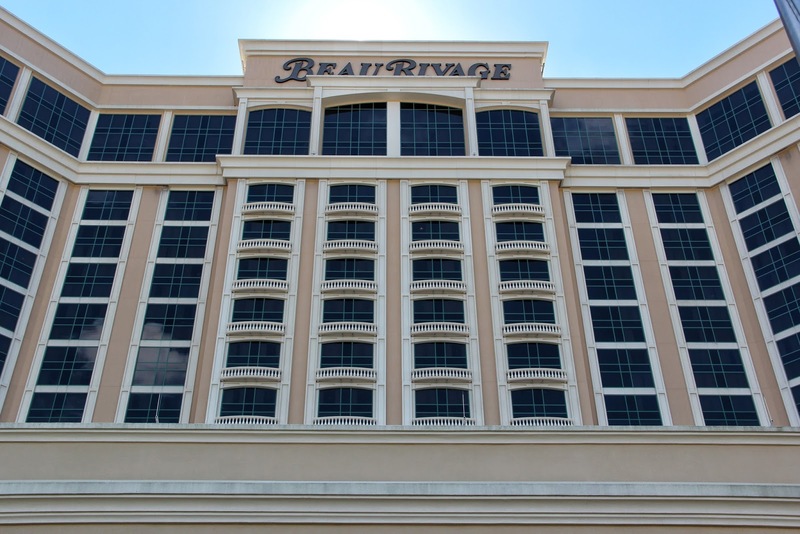 I then moved next door to the Beau Rivage, the tallest building in the entire state of Mississippi, hard to believe since it's really not very tall, only 28 floors. 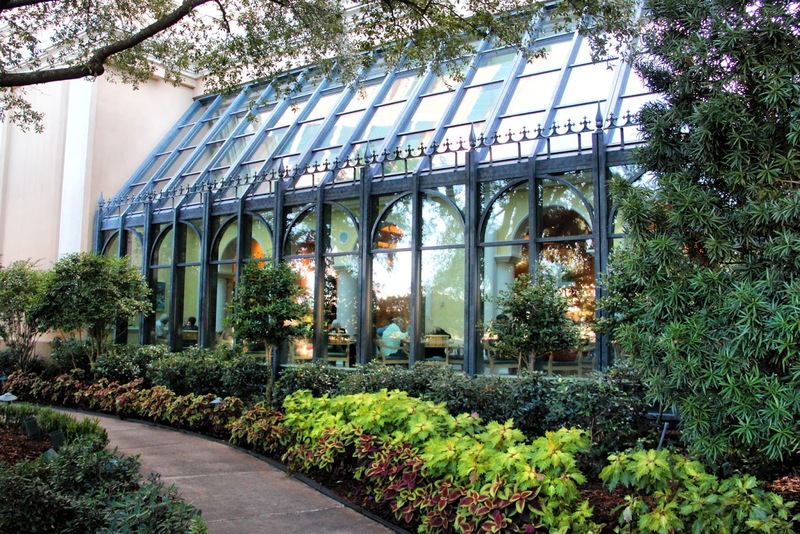 Beau Rivage was seriously damaged by the 30 ft (9.1 m) storm surge caused by Hurricane Katrina and had to be rebuilt. 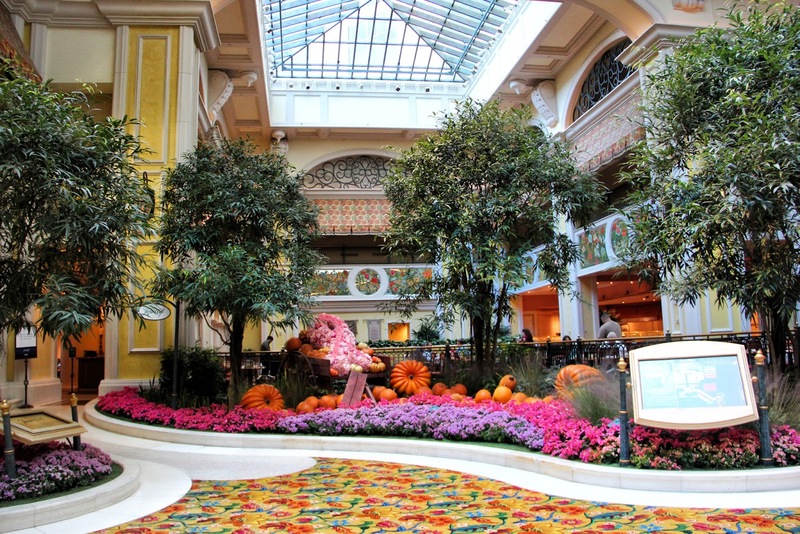 I found the atrium beautiful, very colorful and with lots of flowers covered by a beautiful glass canopy. 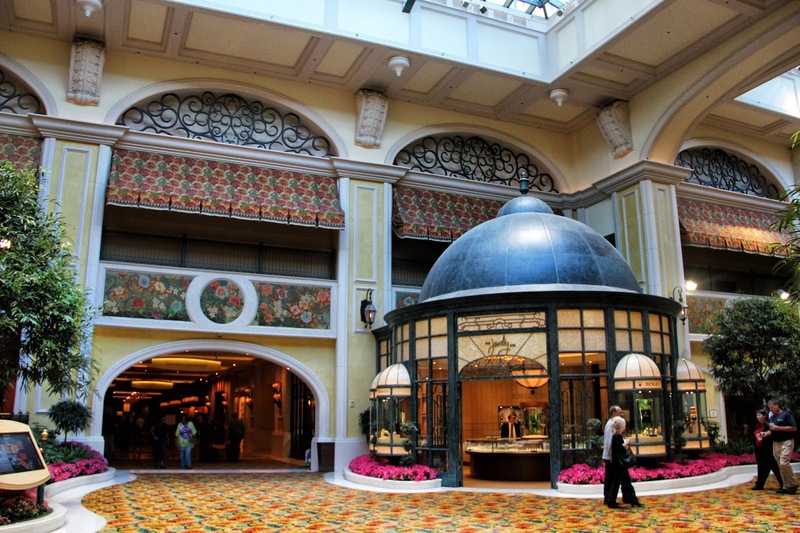 One thing that surprised me was seeing people smoking inside the lobby and later inside the casino. After asking an employee I was told smoking is allowed inside the casinos including restaurants in Mississippi. After walking around through the casino I headed out and back towards where my bike was parked passing beautiful homes including the one below. 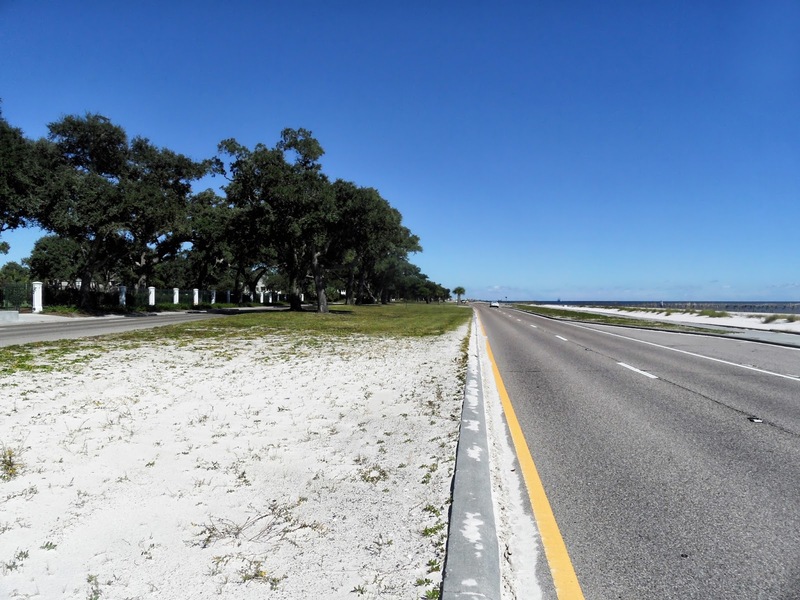 Mississippi has sixty-two miles of scenic shoreline and as I continued west along U.S. Highway 90, also known as Beach Boulevard, I passed Gulfport, Long Beach, Pass Christian and Bay St. Louis as I moved closer to Louisiana. Stopped a few times to enjoy the warm weather and see the beautiful shoreline with the large swaths of white soft sand. 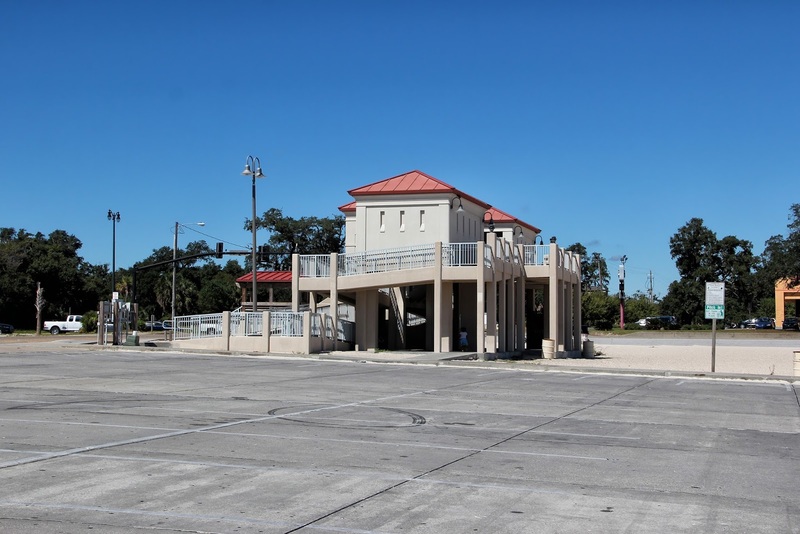 I was surprised by the "Comfort Stations" located along the beach offering showers & drink machines as well as serving as bus stops for Coast Area Transit Authority buses. One is pictured below. 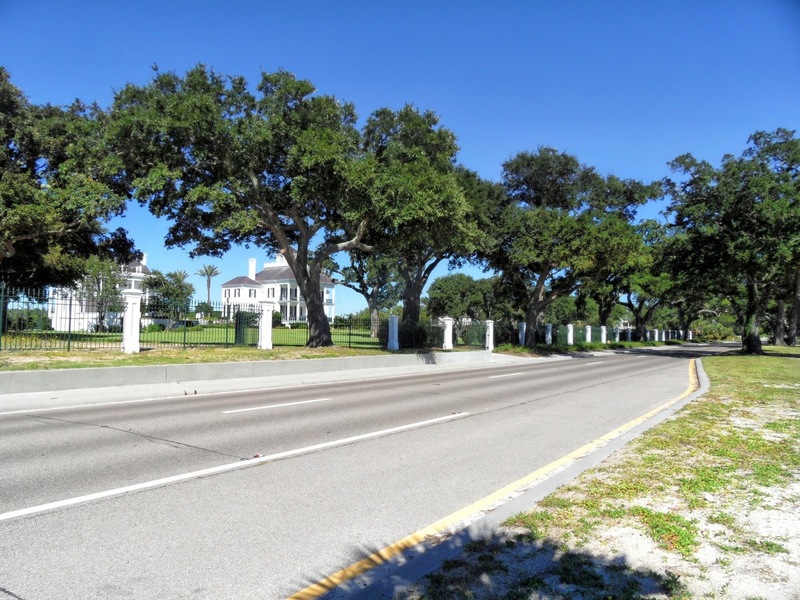 Passed a few amazing homes along the way and the one pictured below was one of the largest mansions I saw. Breathtaking in style with a beautiful view of the gulf. 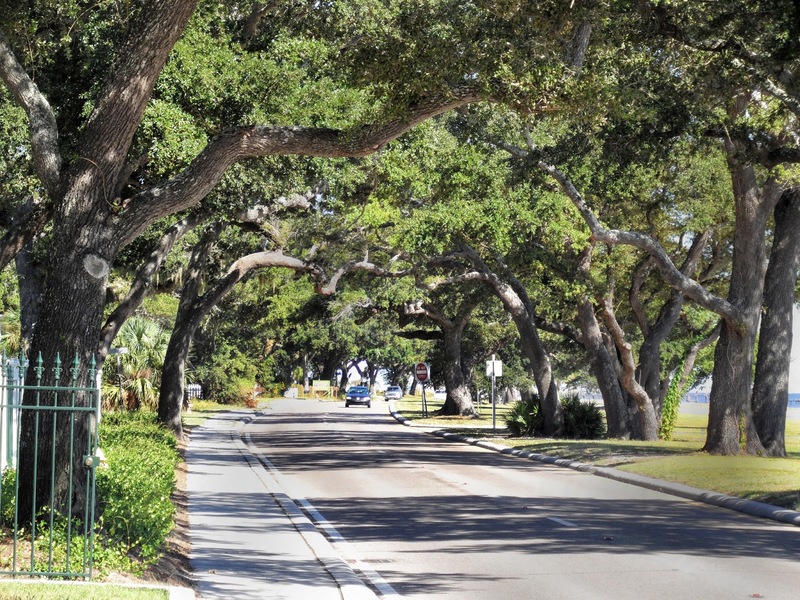 The beautiful Beach Boulevard is covered by lots of Southern live oaks providing shade from the sun as you drive along the coast. From Biloxi to the Louisiana border is about 50 miles and after crossing a few bridges I arrive at the Louisiana visitor center. 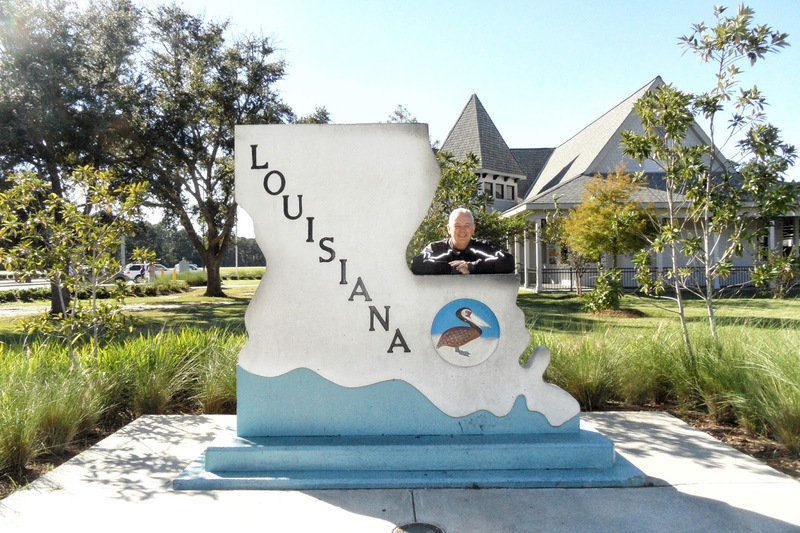 When I started this trip I had five states in the south missing from my list of ridden states, Louisiana is now the third state I have entered. In another 45 miles I will be in New Orleans. 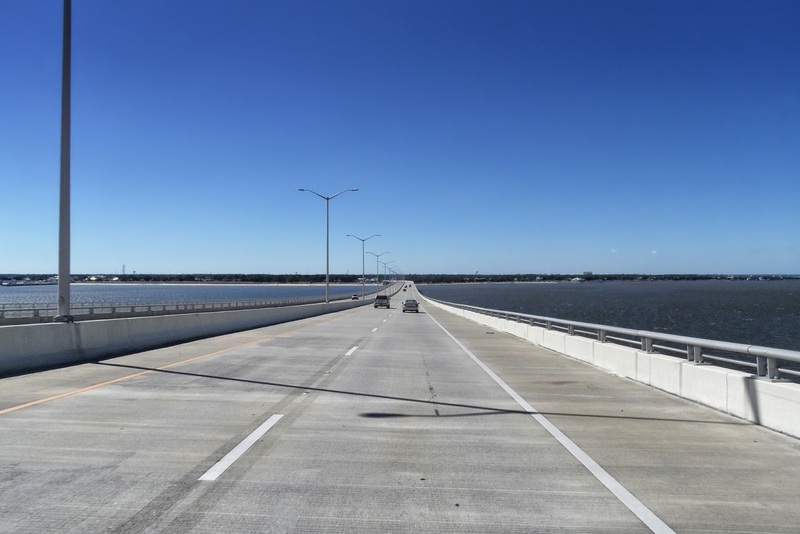 The I-10 Twin Span Bridge at nearly 6 miles long and known locally as the Twin Spans is an impressive feat of engineering. 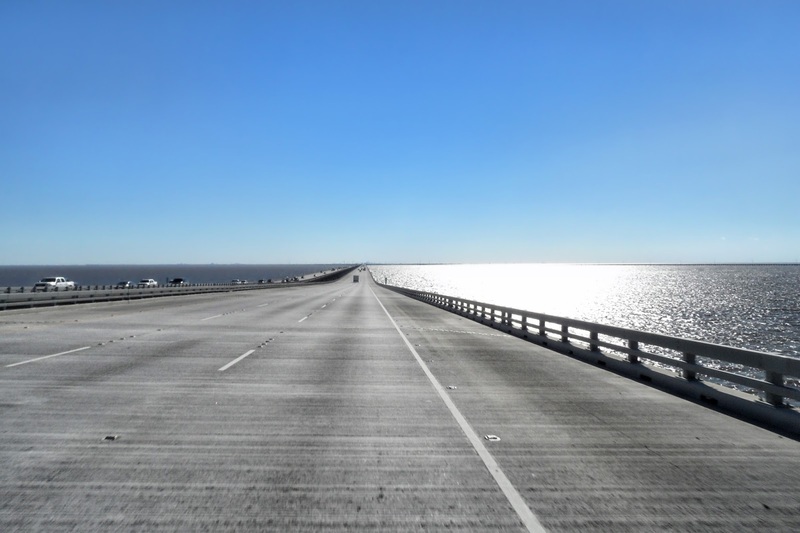 These parallel bridges cross the eastern end of Lake Pontchartrain in southern Louisiana. Notice I only takes photos while riding when there aren't any vehicles around me. 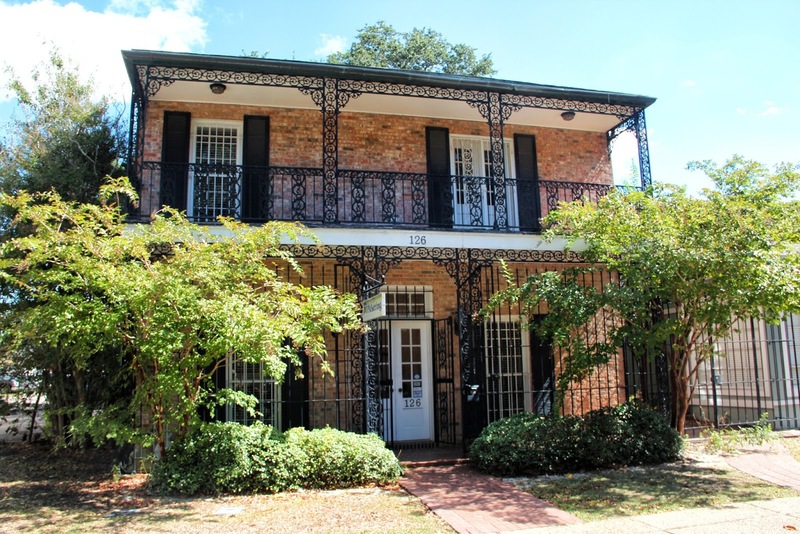 I arrive in New Orleans late afternoon and head straight for the French Quarter where I will be spending the next two nights. First need to find a hotel but that was an adventure in itself and is best left for the next post. 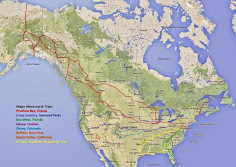 Hi George, I just finished reading your trip to Alaska and really enjoyed the great content. I noticed the RSA flag on your pannier. I was born in Durban and lived there for 21 years and now in Florida. Yours trips are amazing and I hope too do the same on my GS. Thanks for sharing and ride safe. Thanks for reading Michael. I was born in Mozambique but lived in South Africa for 10 years in Bonaero Park, just outside the old Jan Smuts airport. I was recently in the Clearwater area vacationing with the family. I love Florida. 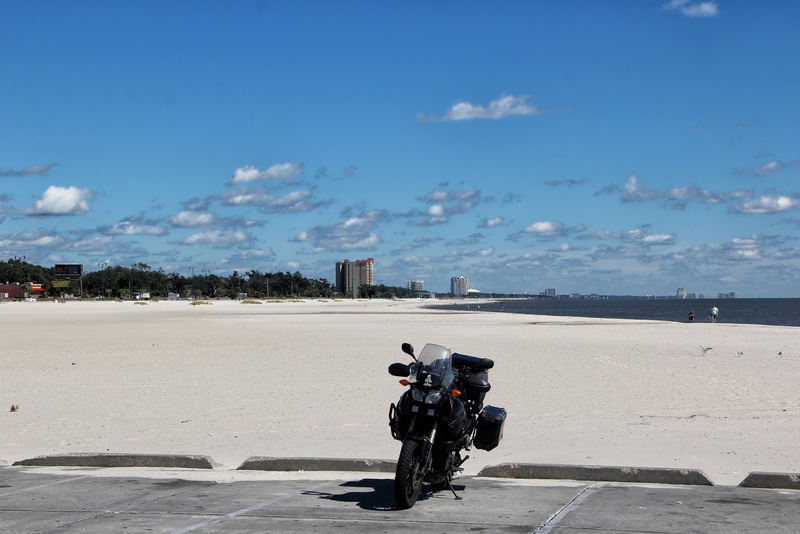 Just rode through Panama City Beach on my current trip. Such beautiful sights you've seen along the way. In Oregon it is illegal to smoke in most public buildings and commercial areas including restaurants, pubs, etc. Casinos are the exception to the rule because they are all located on Reservations. My mom used to work as cashier then surveillance for one here and the Indian Band required her to sign a waiver before starting due to the health hazard of cigarettes. Yes, too many places to see and not enough time, that's what I always say. Ah, there's always a loophole somewhere. So on the Indian reservations it's okay to smoke but aren't people going there going to end up in the hospitals throughout the rest of Oregon? Politicians passed these laws so people don't get sick and end up in the hospitals. Looks like a nice ride George! 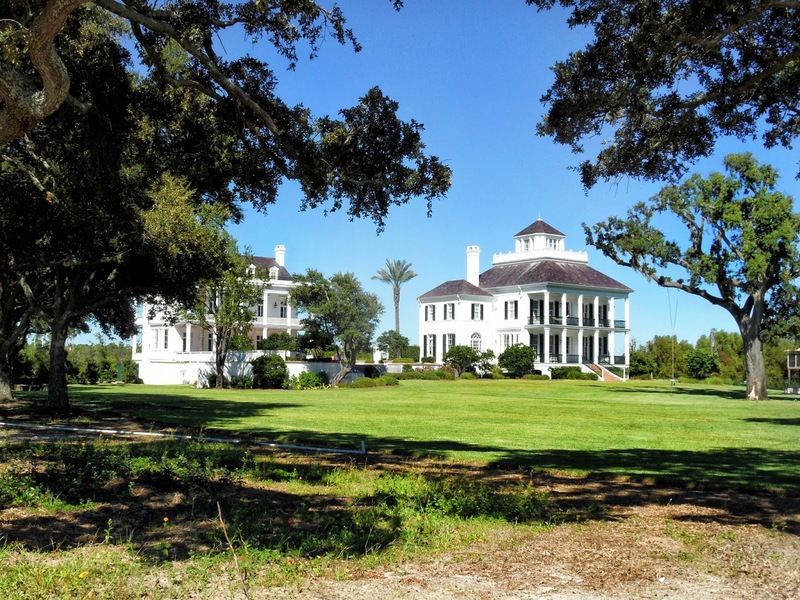 I love riding around and looking (and coveting..) those southern mansions! Great photos George, we like casinos too - my wife loves playing the machines - but we don't have anything as grand around here. We haven't been to Grand West casino in Capetown yet, that's quite a big one and maybe deserves a visit one of these days. I don't gamble but love visiting casinos. I have friends in Johannesburg and I believe there's some casinos there.